In this new Metasploit Hacking Tutorial we will be enumerating the Metasploitable 2 virtual machine to gather useful information for a vulnerability assessment. Enumeration in mathematics or computer science is referred to as listing a number of elements in a set. 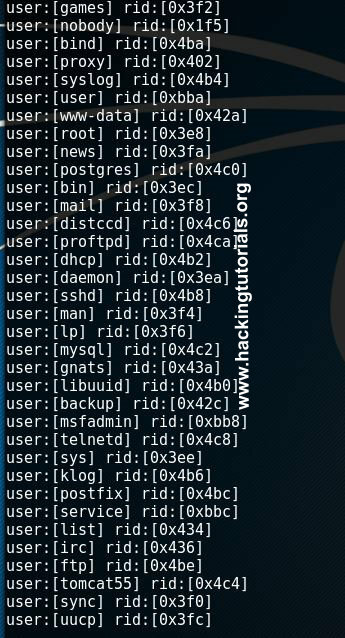 Enumeration in the hacking context is the process of retrieving usernames, shares, services, web directories, groups, computers on a network. This is also called network enumeration. During this process we will also collect other useful network related information for conducting a penetration test. An important part of the Metasploitable 2 enumeration process is the port scanning and fingerprinting process. Port scanning is used to probe a server or host for open TPC and UDP ports. Fingerprinting is the process of identifying the services connected to those ports. A very popular tool used for network enumeration, port scanning and fingerprinting is NMap (Network Mapper) which we will be using throughout this tutorial. We will also use an enumeration tool called enum4linux. Enum4linux is a tool used for enumerating information from Windows and Samba hosts. After we’ve successfully completed enumerating the Metasploitable 2 VM we will be doing a vulnerability assessment on the network side in the next tutorial. With information retrieved from the enumeration process, for example the operating system version and running services with version, we will be looking for known vulnerabilities in these services. We will be using the Open Source Vulnerability Database (OSVDB) and the Common Vulnerabilities and Exposures (CVE) for this purpose. 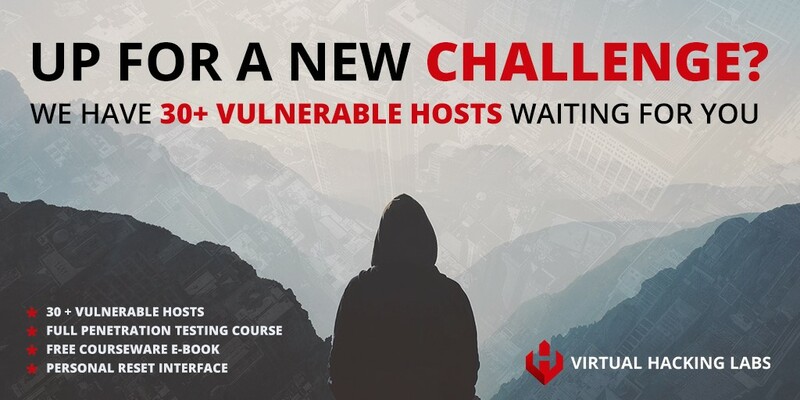 The last step is to scan the target host for these vulnerabilities with a vulnerability scanner called OpenVAS on Kali Linux. In this part of the Metasploitable 2 enumeration tutorial we will be enumerating the running services, accounts and perform an open port scan. We will be using NMap to scan the virtual machine for open ports and we will be fingerprinting the connected services. In this tutorial we will only be focussing on enumerating the network side of the Metasploitable 2 machine. We will cover the web side in a different tutorial where we will be enumerating web applications and directories, performing SQL injection attacks and exploit the vulnerable web services. This command will return all live host on the given IP range, in this example it will be the 192.168.111.0/24 range which consists of IP 192.168.111.0 to 192.168.111.255. Of course you should scan the IP range your Metasploitable 2 VM installation is located on your own network. The netdiscover -r 192.168.111.0/24 command discovers all IP addresses in the given range. We will start the open port scan with scanning the target host with NMap. We will use a TCP SYN scan for this purpose and than we will scan the target for open UDP ports. The SYN scan is known as a stealthy port scan because it does not finish the full TCP handshake. A full TCP connection starts with a three way handshake where a SYN packet is send by NMap as the first part of the handshake. When a port on the target machine is open, it will respond with a SYN-ACK packet. When there is no response from the target on the first SYN packet, than the port is either closed or filtered by a firewall. The 3rd step in this process is the host machine that should respond to the SYN-ACK with an ACK packet to complete the full TCP handshake. In the case of a SYN scan its never does and is therefore called stealthy. A SYN scan does not complete the three way TCP handshake because the SYN/ACK packet is not responded to with an ACK packet. 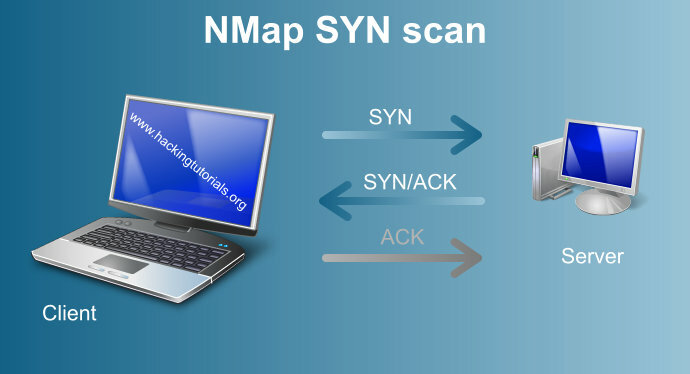 The Nmap SYN scan is often called a stealthy scan which implies that it goes unnoticed. This is true for old firewalls, which only log full TCP connections, but not for modern firewalls which also log uncompleted TCP connections. Just because a port is open doesn’t mean that the underlying software is vulnerable. We need to know the version of the operating system and running services. With this information we can determine if there are known vulnerabilities available to be exploited. The result of the service and OS scan will give us the right information to investigate further during the vulnerability assessment. To get this information we’ll run the port scan with the -sV option for version detection and the –O option for OS detection to retrieve the versions of the running services and the OS. The Nmap OS and Version scan does complete the full TCP handshake and using techniques like banner grabbing to get information from the running services. You can also use the –A option instead of –O to enable OS Detection, version detection, script scanning and trace route all at once. This is not a stealthy way of scanning. Most of the running services scanned by Nmap will probably be vulnerable. Of course we know the Metasploitable 2 virtual machine is intentionally vulnerable. Therefor one can only suspect that most, if not all, of the services contain vulnerabilities, backdoors etc. In this hacking tutorial we will only cover enumeration tactics, port scanning and a vulnerability assessment on the network side. In the Metasploitable tutorials to follow we will be exploiting the vulnerabilities. Let’s continue with user enumeration. Please note that UDP scans may cause a lot of false positives. The false positives may occur because UDP lacks an equivalent of a TCP SYN packet. When a scanned UDP port is closed the system will respond with a ICMP port unreachable message. The absence of such package indicates that the UDP port is open for many scanning tools. When a firewall is present on the target host which blocks the ICMP unreachable message than all UDP ports appear to be open. When the firewall blocks a single port the scanner will also falsely report that the port is open. Enumerating users using a Nmap script named smb-enum-users. Enumerating users through a null sessions using rpclient. Let’s start with enumerating users using the NMap script. As you can see there are a lot of usernames on the Metasploitable 2 machine. Among them are a lot of service accounts and the admin account which is named msfadmin. 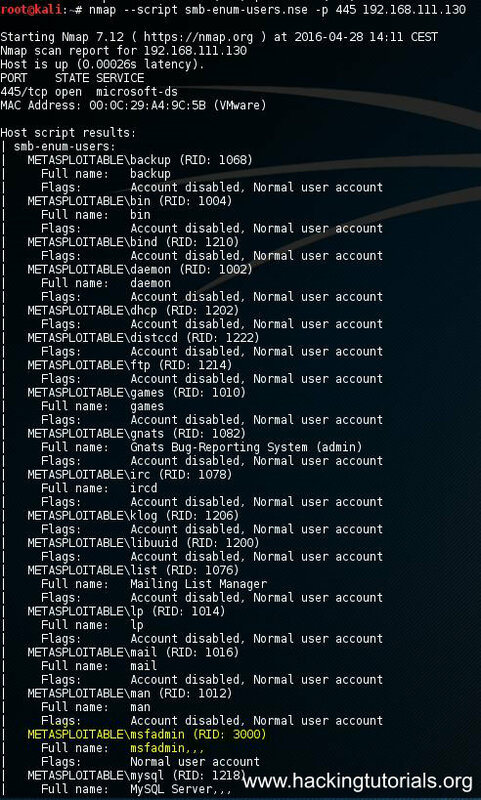 Let’s have a look at the second method to retrieve a list of user accounts from the Metasploitable 2 server by using a null session on the Samba server. Rpcclient is a Linux tool used for executing client side MS-RPC functions. A null session is a connection with a samba or SMB server that does not require authentication with a password. No username or password is needed to set-up the connection and therefore it is called a null session. The allowance of null sessions was enabled by default on legacy systems but has been disabled from Windows XP SP2 and Windows Server 2003. The connection uses port 445 which is an open port on out target host as we’ve seen in the results of the port scan. This will return information about the profile path on the server, the home drive, password related settings and a lot more. This is great information which can be queried without administrator access! If you want to learn more about how to use the rpcclient just type the help command for an overview of available options. Use the netshareenum command on Metasploitable 2 to enumerate its network shares. Enum4linux is used to enumerate Windows and Samba hosts and is written in Perl. The tool is basically a wrapper for smbclient, rpcclient, net and nmblookup. Let’s have a look at how to use enum4linux and run it on Metasploitable 2. Below are the most common options used in enum4linux. To get an overview of different options use the –help flag. -a Do all simple enumeration (-U -S -G -P -r -o -n -i). So far we have collected information about the operating system, the user accounts, open ports and the running services with version numbers in this Metasploitable 2 enumeration tutorial. We also collected information about the password policy (there is none) which raises questions about the used password strength which we will investigate during the exploitation phase. 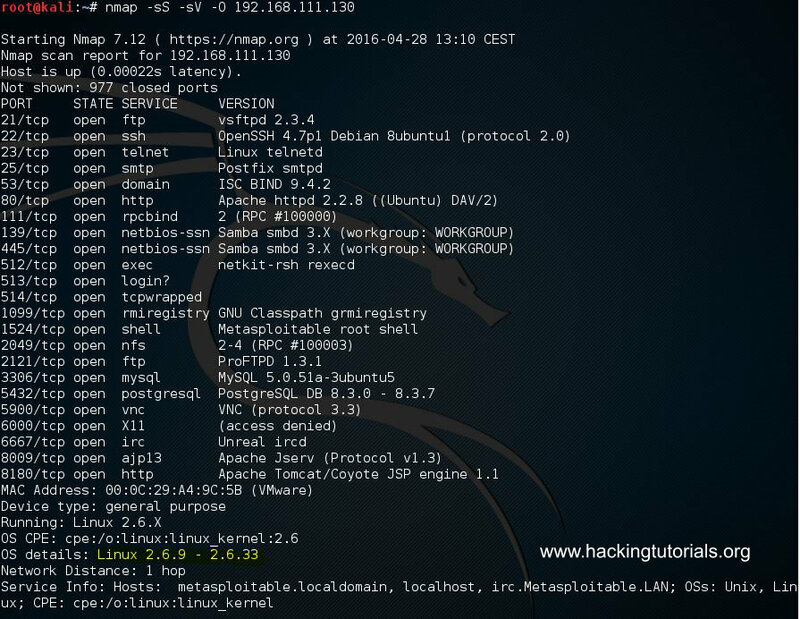 We’ve used tools like Nmap, rpcclient and enum4linux to gather all this information. For now we can use this information for a vulnerability assessment which we will be doing in the next Metasploit tutorial. The Metasploitable 2 vulnerability assessment tutorial will be published on 5th of June 2016. Thank you for reading this hacking tutorial and please share it if you liked it! Can’t wait for the next tutorial to come out. I’ll just continue to practice this technique until it does. Very cool. netdiscover do not actually “ping” ip-addresses. It discovers host by using arp messages. You are totally right. Thank you for letting us know! I just started prep work for the OSCP which I plan to take next year – thanks for your writeup and also these tutorials they are really helpful !!! Thanks and you’re welcome! Good luck on the preparation! Thank you very much and happy to hear you find my tutorials helpful!